A colorful magnet holds a drawing to a fridge. Paperclips stick to a magnet. 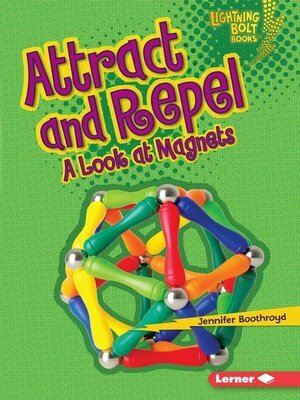 Magnetic forces are at work all around you. But what exactly is a magnet? And how do magnets work? Read this book to find out! Learn all about matter, energy, and forces in the Exploring Physical Science series—part of the Lightning Bolt Books™ collection. With high-energy designs, exciting photos, and fun text, Lightning Bolt Books™ bring nonfiction topics to life!